Mark Helm’s Lost And Found Classic | Pop That Goes Crunch! 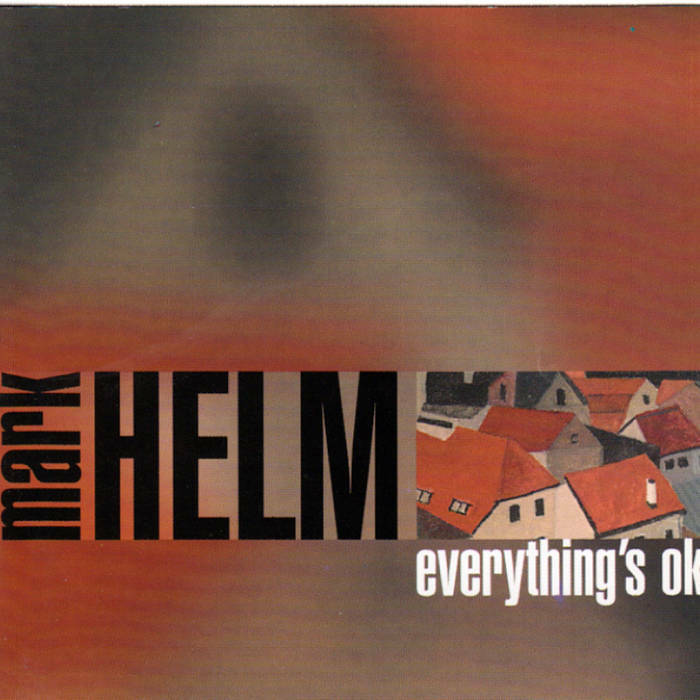 Mark Helm released his one solo album, everything’s ok, in 2001. Reviews were great. “Elegant…more hooks than a fly fisherman’s vest,” declared the Washington Post. An “orch-pop noir gem,” gushed Gary “Pig” Gold. Years passed. The road of life took its unexpected twists and turns. Helm ultimately found his way to Nashville, and to a career as an English professor. Music seemed to be a part of the increasingly distant past. Helm, however, dusted off everything’s ok in July 2015, and reissued the long-player on Bandcamp, along with a generous (and growing) collection of odds and ends. This is a work of broad eclecticism. Its sounds run the gamut from guitar-propelled Power Pop to quiet orchestration to acoustic folk to “alt rock” to baroque pop. Its themes capture life’s ups and downs, the good, the bad, the in-between and the indifferent. It is at once a deeply personal work, but it nevertheless conveys universal truths and familiar emotions. Its “handmade” quality is reminiscent of Cotton Mather’s Kontiki, in execution and in the way Helm expertly melds disparate pop and rock elements into a cohesive whole whose overall quality exceeds the combined virtues of its various parts. The digital reissue of everything’s ok is rounded out by a collection of ten bonus tracks, including a nice, digital four-track acoustic recording of “God Only Knows,” and Helm’s covers of Gene Clark’s “American Dreamer” and ELO’s “Strange Magic,” both of which appeared originally on tribute LPs released by Not Lame Recordings. everthing’s ok is a great “lost and found” record, rising unannounced to enliven the second half of the year. This is music that can be enjoyed equally on a dark and lonely night, or on the brightest and sunniest of days. Its also a steal — 26 tracks for a mere $5. Run, don’t walk, to Bandcamp and get it. Or, you can simply click right here.